Drive home in a high-quality Honda at a price you can be happy about when you shop our inventory of used Honda vehicles. Our Honda dealership in Kansas City, KS, excels at pairing our customers with the vehicle they’ll love. Test-drive a pre-owned Honda CR-V if you’d like to stretch out in a capacious cabin, or buy a pre-owned Honda Odyssey if you need something that can fit the whole family. We also have pre-owned Honda Accord sedans and Honda Pilot SUVs available, so take your time checking out our selection to find something that speaks to you. We also have pre-owned makes and models of all kinds, so you can be confident that you’ll find something you love at Legends Honda. 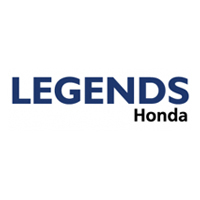 Head to Legends Honda to browse our inventory of used Honda cars!